This #EasyBracketParty has been compensated by #CollectiveBias and its advertiser. All opinions are mine alone. 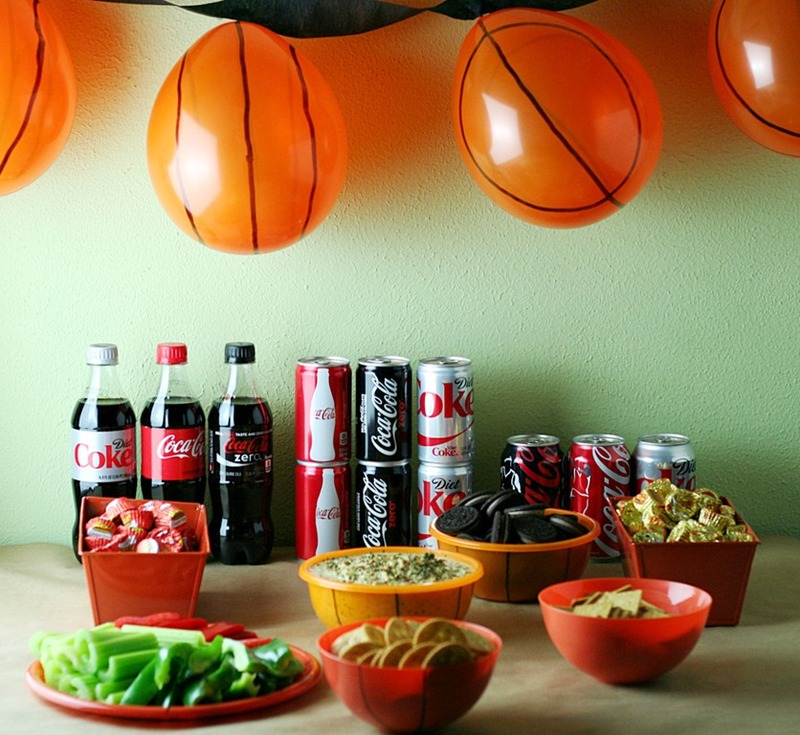 Throwing your own bracket party doesn’t have to be time consuming. 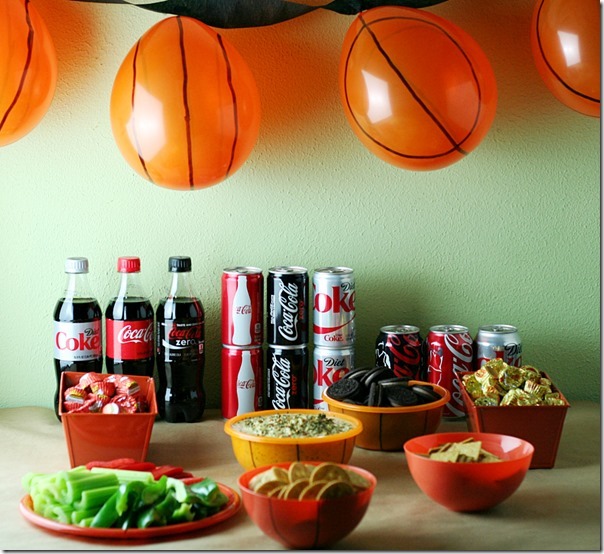 Using my five tips for throwing an easy bracket party you can have yours setup in an hour or less. Typically I find that people fall in one of two categories, those who love to throw parties and those who would rather poke their eye out with a stick. I can certainly understand those who fall into the latter category. I mean there’s the shopping, cooking, decorating, activity planning and then if you throw dietary needs of the guests into the mix and well it can become a little overwhelming. It doesn’t have to be intimidating or overwhelming, though. My first tip is to throw parties around events like special sporting events that are televised. This is a huge time saver because you don’t have to worry about planning activities, the game IS the activity! For me activities are one of the most time consuming parts of planning a party so this is a perfect way for me to entertain friends and family without having to worry about activities to keep everyone busy and having fun. Next up is planning the food which can become a little complicated when you have guests who have different dietary needs on your guest list. My next tip is to keep it simple. Plan to have snacks and not a full dinner. Plan for one or two items in the mix that can be eaten by those who have a dietary restriction and those who don’t and then build out from there. For example I have guests who will be low-carb and those who are not so I made a Spicy Cilantro Dip (recipe below) which serves all. Then I served sliced vegetables, Original Wheat Thins and Ritz Crackers for dipping. I also wanted to serve something sweet but did not want to spend more time cooking so I grabbed Reese’s Mini Peanut Butter Cups for my carb loving friends and for those who are low-carb, Sugar Free Reese’s Mini Peanut Butter Cups. I also threw in some OREO Cookies because the kids love them! 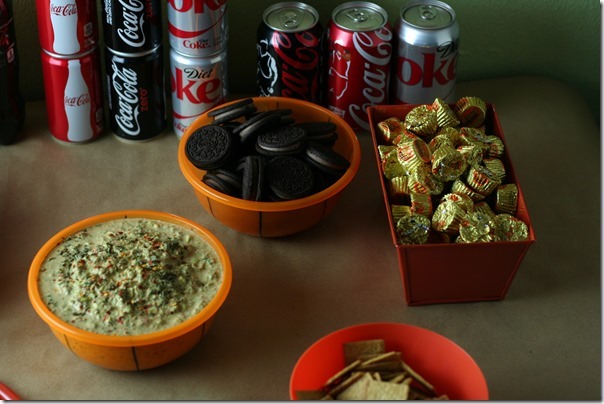 Add a variety of drink options like Coke, Diet Coke and Coke Zero and you have everything you need for a simple snack table. No party is complete without a little decorating. This part of the party can become more expensive than time consuming, especially if you’re buying themed decorations. Two tips here. First tip buy decorations on clearance when you come across them. For instance I just purchased decorations for next St. Patrick’s day because they were 50% off. Great deal! Next tip, if you don’t already have something you purchased previously then go with a color that’s easy to find and then personalize it for your party. This is a great activity for the kids to take part in if you have some around and if not then borrow some. Kidding. Not kidding. 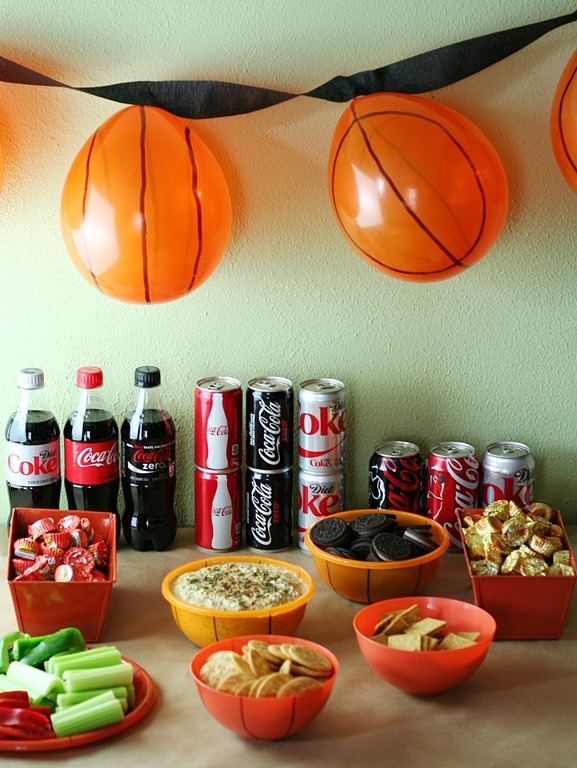 For example we purchased orange and black to go with a basketball theme. We then just simply painted stripes on the balloons, bowls and plates to mimic basketballs. Easy… peasy! It was also super cheap! I think the whole setup was maybe $10 bucks at a local dollar store and that includes the cute tin loaf pans that the candy is served in. One final tip, shop for groceries where you know you will be able to find what you need and not have to run to multiple stores. 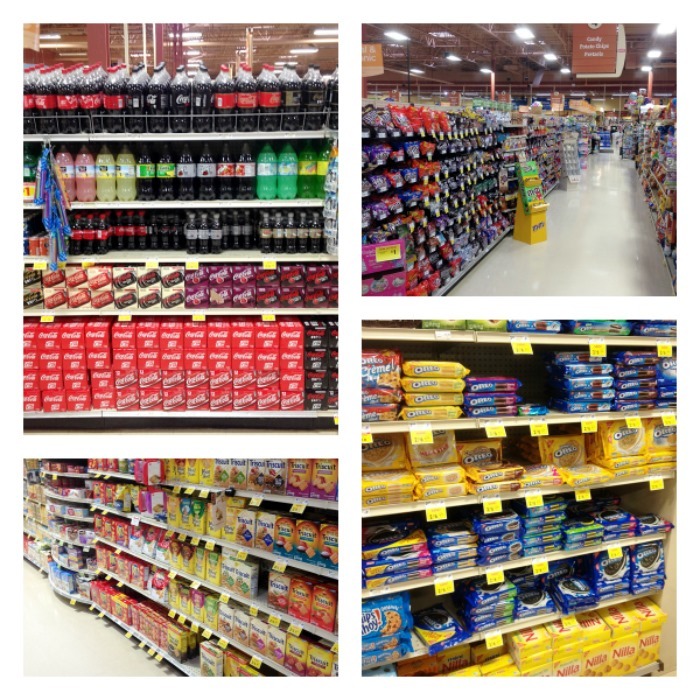 I love shopping at Giant Eagle because I know they generally have everything I need and their fresh foods i.e. produce, meats etc. are fresh and gorgeous! Oh and take a list.. definitely do not forget the list! It will save your time, wallet and sanity. Combine sour cream, vinegar, lime juice, olive oil, garlic, salt and pepper in a blender and puree until smooth. Add edamame, jalapeno, cilantro, red bell pepper to the sour cream mixture and pulse until mixed but still chunky. 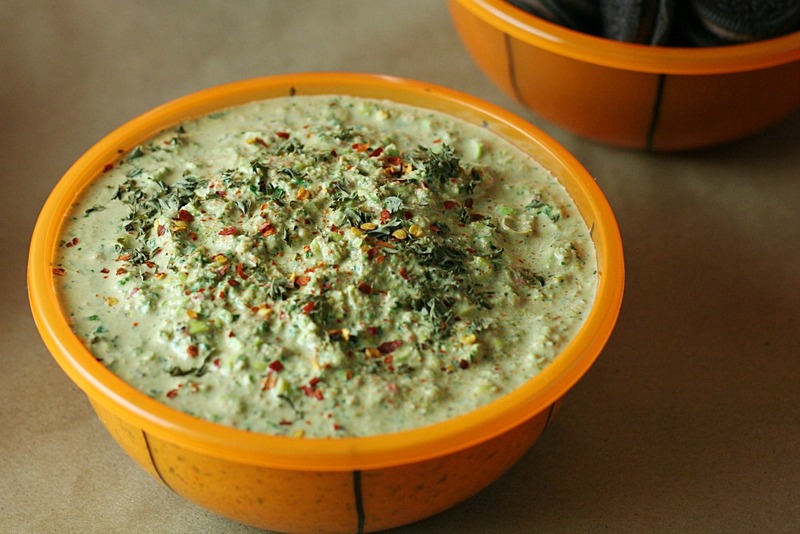 *Note – this dip tastes best if you make it the night before serving so that all of the flavors marry however if that’s not possible just make this first and then allow it to chill until time to serve. So, these are my tips for putting together a great party for the Big Tournament in an hour or less. What tips do you have? I’d love to hear about them! Leave a comment sharing your family tips and traditions along with what you will be picking up from Giant Eagle for your party. 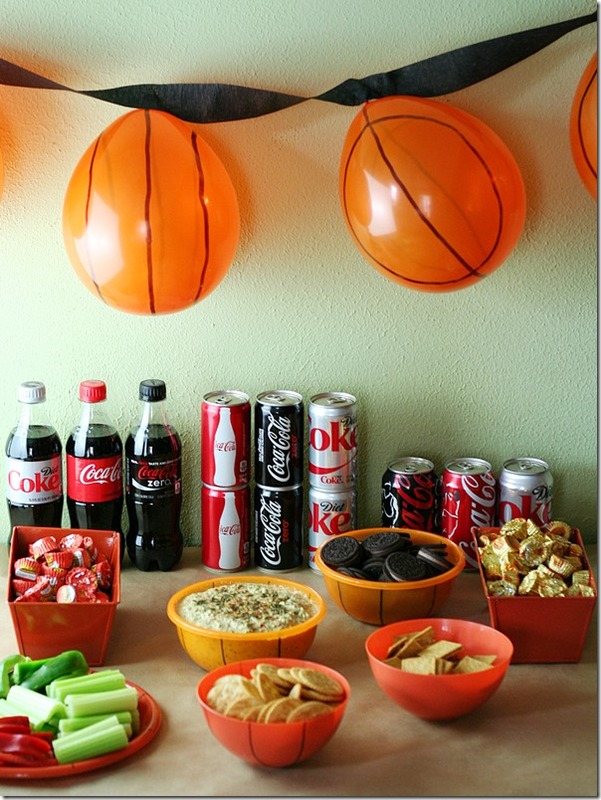 For even more Easy Bracket Party inspiration make sure you visit Giant Eagle Meals Made Easy. Thank you, Christie. I don't have a lot of parties and if I do they definitely have to be simple. This looks so awesome! All your pictures are great! and love the tips for throwing a party! To be honest I am typically the same and don't do parties! If I do then it definitely has to be simple.